Since we opened our first restaurant in Kirribilli back in 2002 we have always endeavoured to operate with an eye firmly on the environmental effects from our business. The first and most obvious place to start was fish sustainability. We maintain a dedicated buyer at the fish markets which gives us tight control over our buying habits where we strive to use fish that are under utilised and not endangered species. Regular suppliers keep us abreast of farmed products which we constantly use. Fish like barramundi, hiramasu kingfish, salmon and trout are all featured on our menus and are sourced from farmed, sustainable stocks. 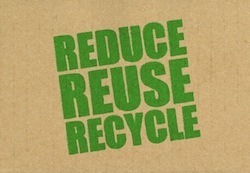 Over this decade the topic of recycling has become commonplace both in the media and in the general community. Operating a number of restaurants does give you the ability to participate in recycling at a level where we really do feel like we make a difference. Our team is actively involved in recycling glass, cardboard and paper as well as used cooking by products like oils. The latest piece in our sustainability efforts has recently begun and is centred around energy consumption. Put simply a restaurant unchecked is an energy guzzler. We have recently engaged a consulting company that operates a “Green Chef” program. It begins with an energy audit of each of our venues and comes back with immediate wins in the form of recommendations on how to cut our energy consumption. Focusing on our past and current usage of gas and electricity we’ve been able to benchmark our current status with a view to measuring our ongoing usage to ensure a marked improvement is achieved. To achieve results Garfish has embarked on an ongoing program and training regime, looking at the equipment that we are using, the state of repair and the way that our staff interacts with our equipment, as well as operational points like our startup and shutdown procedures. To keep our team engaged we’ve also started a three month energy challenge. The idea is to have each of our 3 venues compete against each other with a target to reduce consumption by at least 15%. They have already begun the simple wins like not turning on the restaurant lighting until service begins, closing down hardware like coffee machines overnight and turning the salamander to 1/2 power close to the end of service rather than waiting until service is finished.